I am one of those people that wears my sandals for as long as possible as the seasons start to change... maybe even too long sometimes. I can't help it, they're just so comfortable that it's hard to make the transition to socks and shoes or boots. This year, however, I had an easier time moving my beloved flip flops to the closet because I had a new favorite accessory ready and waiting to help enjoy fall and winter thanks to AffordableScarves.com. 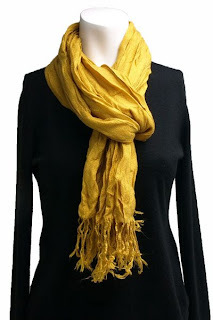 Because right now there is no better way to stay warm while changing up the look of an outfit with ease than with one of their many beautiful and extremely budget-friendly scarves. With a variety of colors, fabrics and weaves, there is a scarf to appeal to everyone's fashion sense and budget at Affordable Scarves. From silk to cashmere, purple to animal print, or specifically for fall or winter, you'll find just the right design and style for yourself or as a great gift. Plus, with all prices starting at less than $20 (with many far below that), free standard shipping on all orders over $40, and a great fall/winter sale going on right now where you will receive 15% off of your entire order, now is the time to pick up a few of your favorites and not break the bank. And if you're concerned that when you see your scarf in person it won't meet your expectations, Affordable Scarves offers an easy return policy and 100% money-back guarantee. You can't go wrong! For me, I hesitated slightly when deciding to try the Peyton Crinkle Scarf in yellow because, after all, it is yellow. 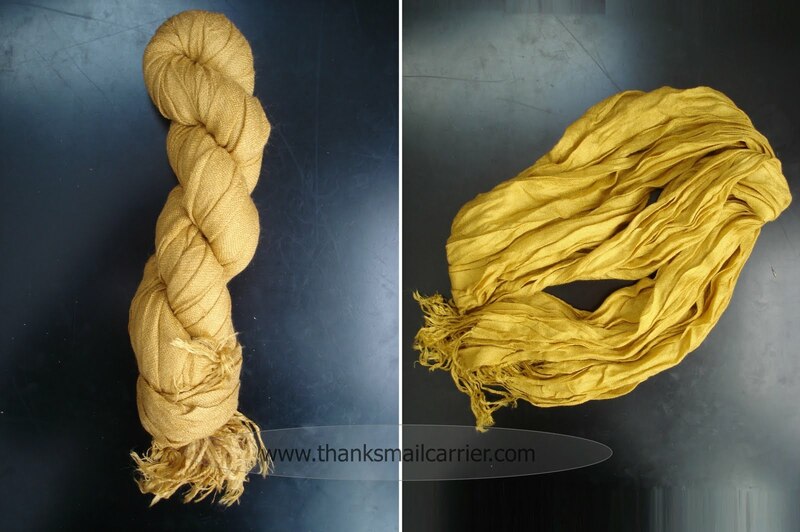 Would I wear a yellow scarf? What if it arrived and it was bright, school bus-yellow? Fortunately, the day that it showed up, I realized that I had nothing to worry about. 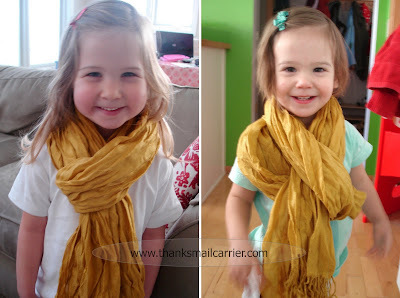 As cute as the Peyton Crinkle Scarf looks on kids, I really do adore the way that it looks and feels on me. The combination of the perfect Autumn color, silky soft feeling and the casual yet dressy look of the crinkly fabric goes great with so many outfits. I've already worn this to multiple get-togethers and events, as well as just day-to-day outings, and have received quite a few compliments on the classy appearance. Little do people know that it sells on Affordable Scarves for $12.71! For everything from floral scarves to capes and ponchos, Affordable Scarves has the style and color scarf for you that won't break the bank. As well as following them on Twitter, Facebook and AffordableScarves.com/blog, they have also recently launched a great side product, Scarves.net, a site dedicated to showing 37 different ways to tie scarves! Don't miss this fun and informative way to be trendy and fashionable this fall and winter! Also, as a great addition to your scarf, ones of Affordable Scarves' sister sites, HandbagHeaven.com, has the latest handbags, purses, clutches and more also at rock-bottom prices. You'll love all of the wonderful, high quality options in the hottest looks that they have to offer! Head over to A Mom's Balancing Act for a great review of the Alex Paisley Clutch! I LOVE their scarves. Great selection, and I really like this yellow one. I'm laughing at your post because I'm sitting here in 35 degree weather in my flip flops. I'll wear them until it snows(which is tonight) yuck! That is something I definitely need this weekend! Brrrr!